CLICK HERE TO SHOP: Wild Ones And Co.
Who would've thought that simply getting a planner would be such a game changer?! I personally tend to freak out when I notice my life is starting to get unorganized, it literally gives me anxiety! I know I can't be the only one. I'm one of those people who have a ton of sticky notes everywhere to constantly remind myself of important dates etc. I decided a while back that I needed to invest in a nice planner to keep myself in line. 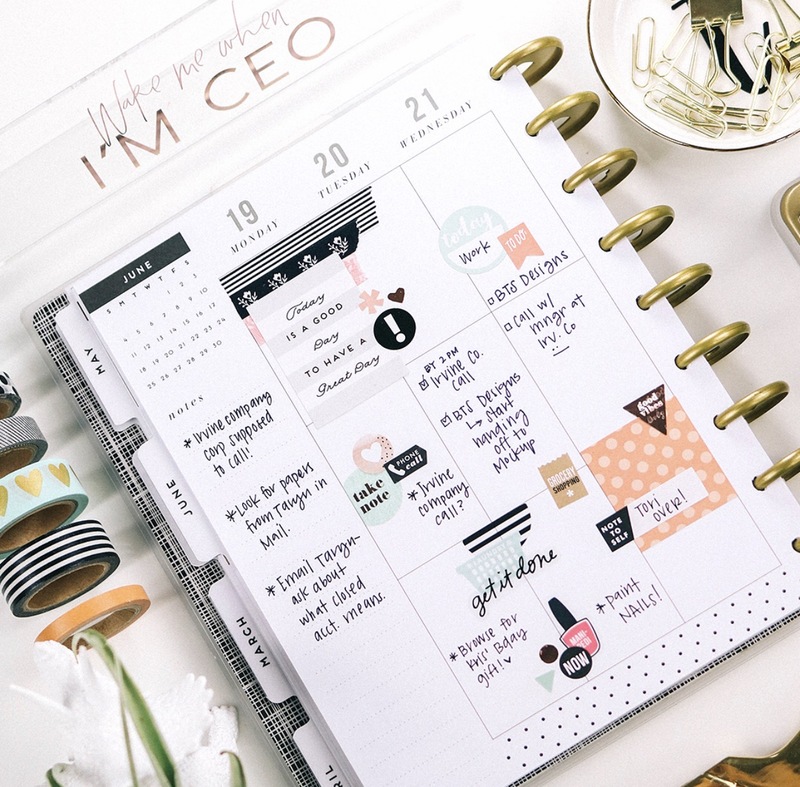 Trust me, with two jobs, mom life, sports, party planning and all the other million tasks that us mothers decide to pick up, I definitely needed a planner. There was no way I could possibly keep up with our schedule anymore. 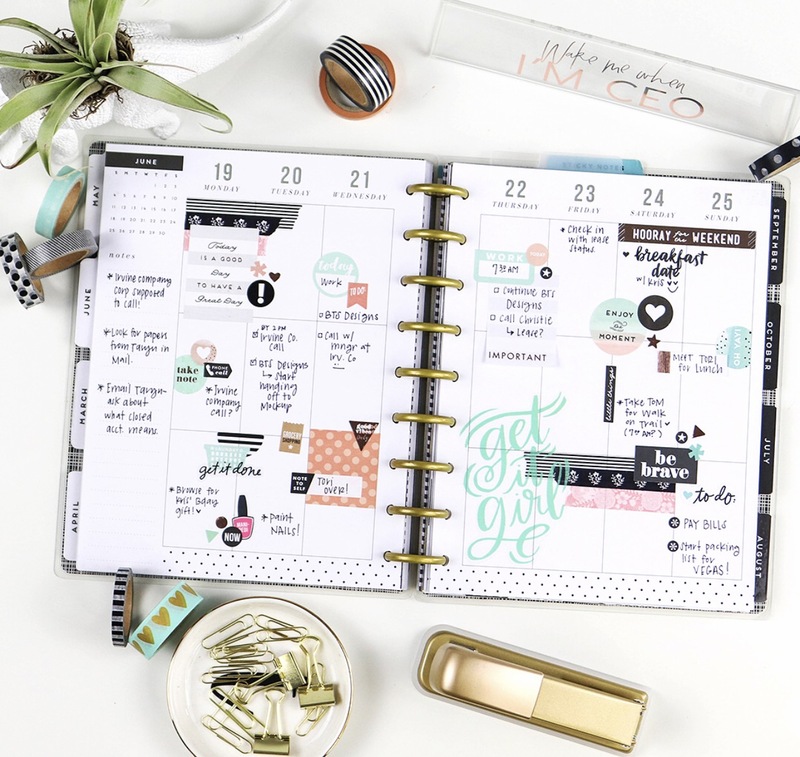 I personally use the "create 365" Happy Planner, and I absolutely love it!! It is spacious, durable and SO CUTE! I take my planner with me almost everywhere, so I knew I needed a nice quality planner since I planned on lugging it with me through dirt piles and all of our many other adventures! There are also a ton of other little add on items you can purchase for your planner. I bought mine at Michaels, and honestly it was a little pricey for a "planner" but what I love about this store is that they ALWAYS have great coupons. You can normally always find a 40 to 50% off any item coupon in their weekly add online and in store. So make sure to keep a lookout! For all you busy mommas out there I highly suggest you invest in one of these bad boys. Game changer forsureeeee.